Mobile app development is always evolving. Each new generation of phones brings better opportunity. 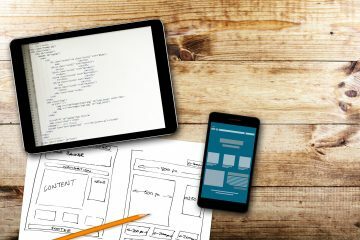 Here are 4 mobile app development trends to watch in 2018! Each day, 1560 new apps hit the Apple App Store in an attempt to be the next big thing. Android apps are being created at an even higher rate with just under 3400 new apps being added to their market each day. The world of apps is growing at an incredible rate, as are mobile app development trends. Things change so quickly in the word of technology that it can be difficult to stay on top of the latest apps, trends, and technology. With new and innovative tools, people are bringing in new software and development to make their app the most successful. We’ve done the research for you and have created a guide on the most important new app development trends to watch in 2018. Artificial intelligence is all the rage in the app world. You can turn on your heating system an hour before you get home so you’ll arrive at a toasty living room. From Google to Baidu, Apple to Intel, apps are focused on applications that have machine learning capabilities. The emphasis is now on customizing each app to the individual needs of the user. Shopping apps are especially capitalizing on this, with Amazon features allow you to “reorder your grocery list”. Android is going swiftly in the direction of quick apps. They allow you to check every feature of an app out without actually downloading it. This gives a pretty hefty boost to app-engagement levels while making them universally accessible. Instant apps will extend over the next few quarters as the growth is skyrocketing. People are enjoying the Android apps because they can use the app without actually having to completely install it. No one likes apps that put too much stock and pressure on the memory of their device. Cloud traffic is increasing, therefore cloud-based applications are also on the rise. 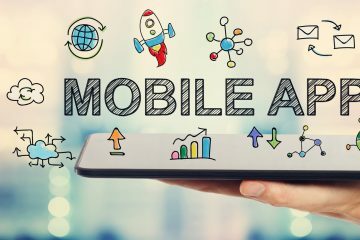 Mobile app development trends are leaning towards being able to seamlessly store and access data from the cloud in a secure format. They are getting rid of the risk factors associated with the device and cloud storage capabilities, too. Cloud services are now being used by apps for social networking aspects and streaming online gaming. People have been concerned with mobile app security in recent years. With this in mind, many mobile app development trends are being created to meet basic security standards. 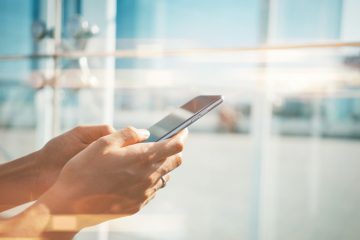 Users are able to store more personal and confidential info inside apps without having to worry if the app has built-in security features. With so many credit cards in certain apps, this is a great thing for everyone. Mobile app development trends are helping the cyber world become secure and effective. From social media to running a business online, apps are making everything possible. Apps are making the world a smaller place which is especially good for businesses and networking. The first trick to making your business happen is making sure your business is seen. For more tips, tricks and advice on networking in your business – contact us today.